← Netflix Death Note sequel?! 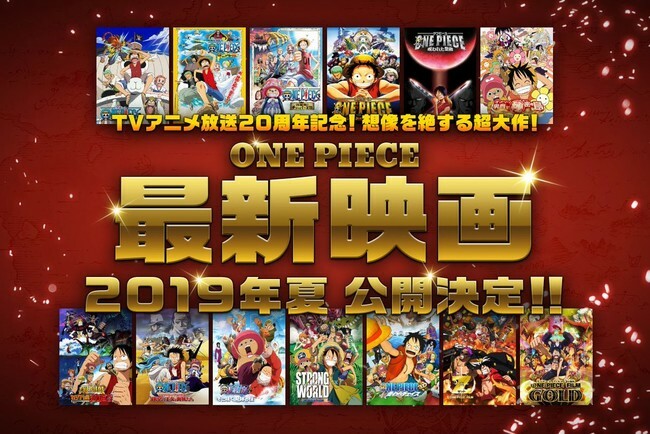 One Piece movie in 2019 confirmed! Announced at the end of the TV special One Piece: Episode of Skypiea, it is officially revealed that One Piece will be receiving a new film set in summer 2019. This new movie will be the 14th movie and it will be commemorate 20 years of the One Piece anime. Currently, it’s unknown if it’s going to be another One Piece Film series with Eiichiro Oda being part of the team and directing. I hope you guys are excited for summer!